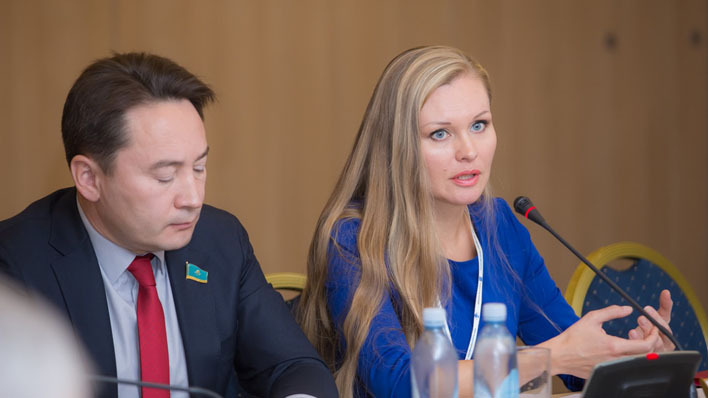 On 4-5 November Legal Media Center with the support of UNESCO Almaty and the International Programme for the Development of Communication organize a two-day training in Kazakh language, aimed at the effective use of the right of journalists to access information in Semipalatinsk city. Journalists from the city of Semipalatinsk, Ust-Kamenogorsk, Pavlodar and other nearby towns and districts, as well as bloggers and representatives of NGOs will take part in the training. Training will strengthen the environment for press freedom, journalistic safety and self-regulation for on-line and off-line media. Print and online journalists of national and regional media outlets will gain skills and knowledge on legal security of access to the information. This training is devoted to the International Day to End Impunity for Crimes against Journalists (2 November). The United Nations General Assembly adopted Resolution A/RES/68/163 at its 68th session in 2013 which proclaimed 2 November as the ‘International Day to End Impunity for Crimes against Journalists’ (IDEI). The Resolution urged Member States to implement definite measures countering the present culture of impunity. The date was chosen in commemoration of the assassination of two French journalists in Mali on 2 November 2013. This landmark resolution condemns all attacks and violence against journalists and media workers. It further calls upon States to promote a safe and enabling environment for journalists to perform their work independently and without undue interference. For participation you should send a request to the address mediastana@gmail.com or fill out a form on the website lmc.kz.